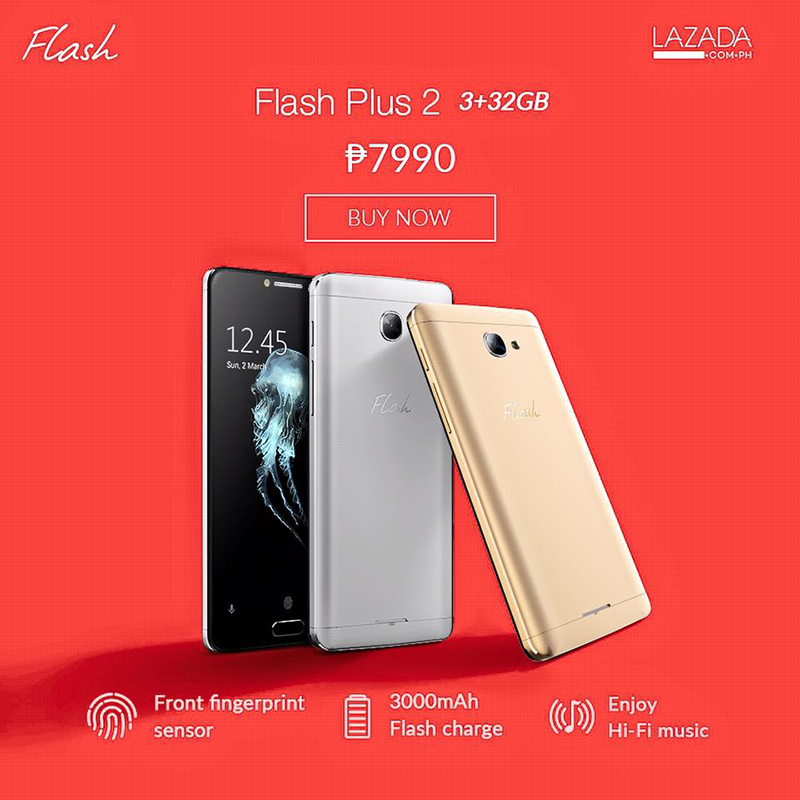 Flash Plus 2 With 3 GB RAM On Sale At Lazada For 7990 Pesos Only! Home / flash / mobile / news / Flash Plus 2 With 3 GB RAM On Sale At Lazada For 7990 Pesos Only! Aside from the 2 GB RAM / 16 GB ROM edition, Flash Philippines also announced that the Flash Plus 2 with bigger 3 GB RAM and 32 GB ROM variant will be on sale too. Like what we said in our review, the Flash Plus 2 with 3 GB RAM and 32 GB storage is ranks among the very best phones with good build and powerful specs for its class. From the regular SRP of 8,490, it's down to just 7,990 Pesos making the price of already affordable handset even better.